Indie developers are hustling to beat the crowd in the VR space. The lack of competition, fresh opportunities, and familiar development style could pay off big for those who get their first. In this post, Michael Amerson gives a sneak peak into the world of virtual reality (no goggles required…) and the requirements for making a VR game. Michael is the Co-founder and Creative director of WET Productions, an independent game development studio. He is also the Founder of a brand new startup – iCandy Games, which is focused on VR games development. Michael has been in the video game industry for the past 15 years working his way up from a 3D artist to lead artist with over 20 titles. From console & PC AAA games like Star Wars and Call of Duty, to top apps in the app store such as Candy maker & Super Pretzel Factory. In 2009, he created My Virtual Girlfriend, and later My Virtual Boyfriend, which have a combined 7 million downloads to date and have been featured by Kotaku, MSNBC, TechCrunch, Vogue, and Glamour. Currently Michael is expanding his game portfolio and seeking financial partners for VR game development. After 10 years of working for game development production companies, Michael decided to risk it all and start working on his own projects. His first app My Virtual Girlfriend, came from an article he read about a 3D girlfriend app with very limited functionality. Michael jumped on the opportunity to create a virtual girlfriend app that offered more interaction, was unique, and that would shock those that came in contact with it. From his marketing efforts, he caught the eye of George Lopez, a famous comedian who did a bit on My Virtual Girlfriend and how bizarre the idea was. From there, the app started building momentum and picking up downloads and revenue. 5 years later in 2016, Michael continues to keep pushing the app with social media marketing to get the word out and produce consistent revenue. There have been attempts with Virtual Reality in the past, but we’ve never been as close as we are today to bringing VR to the consumer on such a massive scale. The process for converting mobile games to VR is easier than you think. Unity is a popular gaming engine focused on 3D where you can create hi-quality looking games without having to be an advanced programmer. 3D games use a ‘camera’ that shows the layout of an environment. To create a VR game, you can insert additional cameras to capture a more full game environment. In order to convert to VR, an app must be 3D. You cannot convert a 2D app to VR. The VR User Interface is different than what you would normally get on a mobile screen. A standard mobile game is displayed in a 2 dimensional space with menus and ads that popup and force the user to make an action. In VR, everything is 360. Softwares adjust textures into a cube or a sphere to transform a scene to 3D. You want the UI to feel native and natural. Unity has an asset store with hi-quality designs and templates for purchase. This saves time, money, and hassle from creating resources yourself. Assets and templates are cheaper than you think too. VR game templates can be purchased for as low as $15. 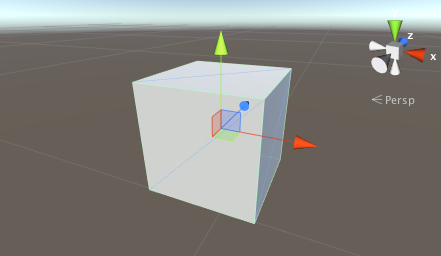 In the video above, you can get a sneak peak of what a virtual reality game looks like in Unity. The 3D character and animations you see in the screenshot above were created by Michael. No programmer was used. Everything in Unity is for the most part run through scripts, so you can create a game without hiring a programmer or doing any programming. Creating apps for VR is similar to what developers have already been doing for years. A VR device to test with. If you have an Android phone and you want to publish a VR app in the Google Play store, you would need a Samsung Gear VR, Google Cardboard, or Vive VR system. Right now, VR is experimental. We don’t have a lot of intel on development, UI, marketing, monetization… But we do have reference points. Purchase a Samsung Gear VR, or Google Cardboard, and start downloading VR games. What do you like? What could use improvement? Find a reference app or model, and build off it. If you’re interested in creating VR apps, or ANY type of app, start small. Awesome post indeed! There is an increase in the demand for the virtual reality games. Agreed Michael, VR is an exciting and upcoming category.